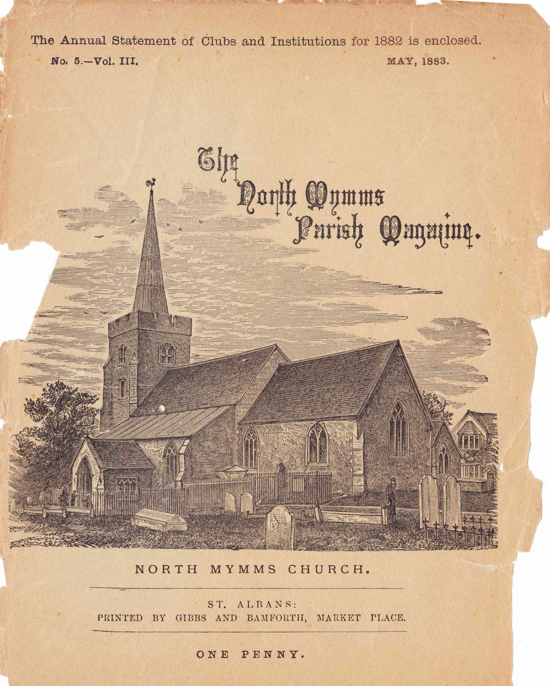 Historian and researcher, Merle G. Rafferty wrote this article, 'Gleanings of North Mymms' after reading through old parish magazines from St Mary's Church. 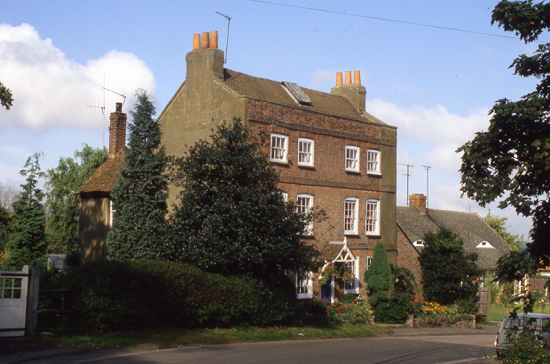 What the author uncovered was described as a "jigsaw of past events in the village", which was put together for a feature published in the Hertfordshire Countryside magazine in August 1972. 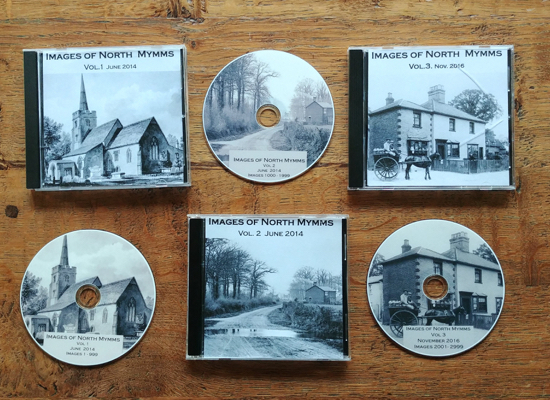 Until her recent death Bessie Nash, born and bred in the village, was the proud owner of the earliest copy of the North Myrnms parish magazine. On learning this fact, my interest and curiosity were sufficiently aroused to go in search of any subsequent copies that might still be in the possession of older inhabitants. This proved no easy task, since during the second world war a well-known worker for charity, Mr. Little (later to become an indefatigable collector of ratepayers' subscriptions), made regular house-to-house calls on behalf of the Women's lnstitute and, with the aid of a wheelbarrow, collected waste paper to provide "comforts" for the troop. In this way much local history was regrettably lost to the community. It was therefore with some excitement that I learned that two large bundles of periodicals had been discovered in a musty cupboard at the vicarage. Alas, the first, in good condition, was already in circulation, while the other, containing copies missing between the years 1903-1916, disintegrated at a touch - completely destroyed by mice! 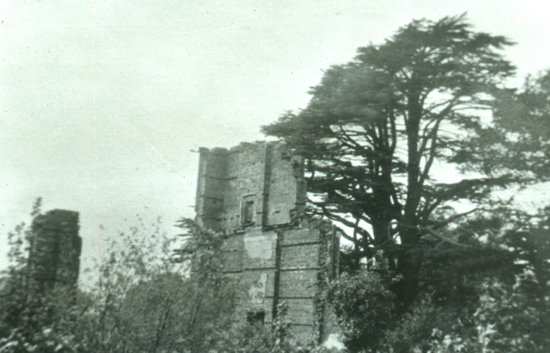 Nevertheless, many did come to light, some being rescued just in time from a November 5 bonfire where they had been thrown following the demolition of a row of cottages, and thanks are due to the kind people who lent their copies and gave information, thus making it possible to piece together the jigsaw of past events in the village. What a wealth of material was revealed! The Rev. 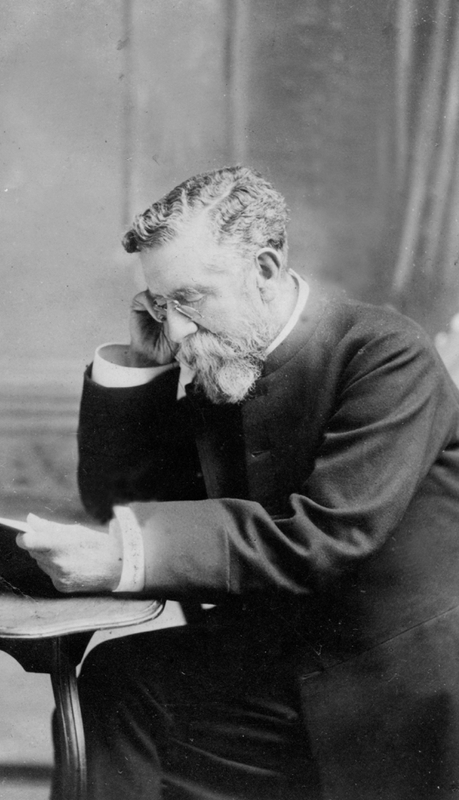 Arthur S. Latter, a keen meteorologist, founded the magazine in 1865 and took a weather reading from the vicarage every morning at 9 o'clock. 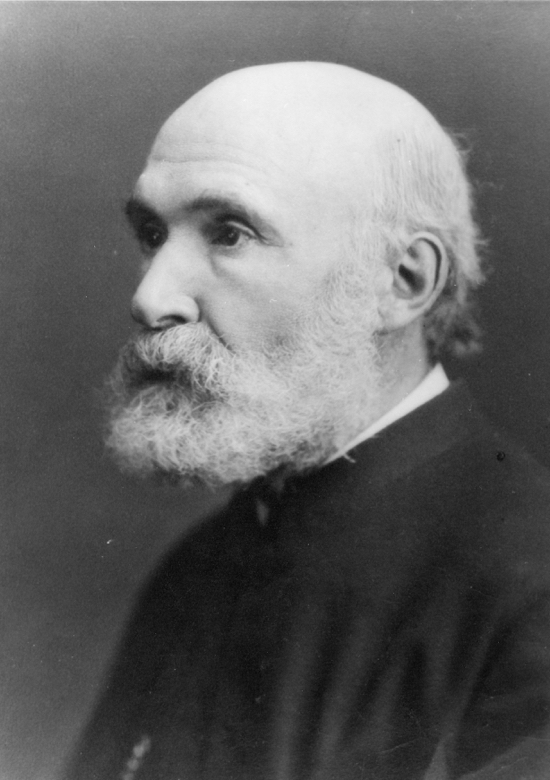 In 1879 there had been continuous rain from March throughout the year, and in an endeavour to allay the fears of his parishioners, many of whom were farmers and agricultural workers, he wrote an article on adverse weather conditions, quoting famous frosts of the past, such as one in 1407 when thousands of small birds died, and another in 1515 when the bosom of the Thames froze so hard that the Archbishop of Canterbury was obliged to cross in a horse litter from Lambeth to Westminster. The year 1564 saw diversion on ice, and in 1684 thousands of forest trees split, the cold spell lasting for seven weeks. 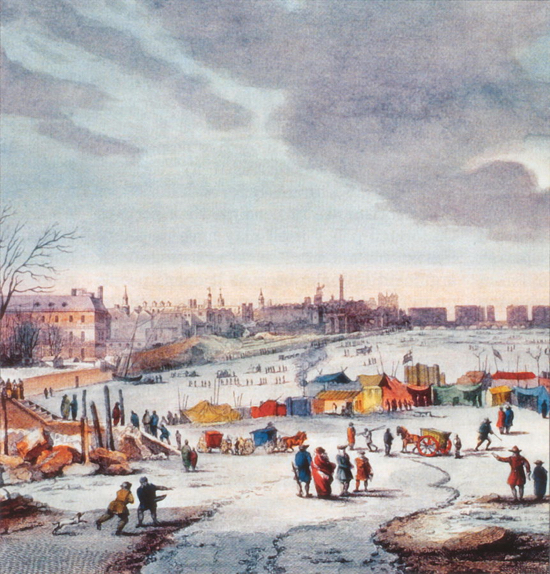 A frost fair was held on the Thames, frozen to a depth of eighteen inches. Similar fairs were held in 1716 and 1746. In 1789 the river opposite the Customs House was completely frozen over and in 1814 the ice on the Thames was packed as firmly as that of the St. Lawrence river, booths being erected at Greenhithe. ln 1895 it was cold the world over, ice seven and a half inches thick forming on the Long Water. Other points of interest noted were the cattle plague in 1865, a destructive whirlwind on June 12, 1875, over Baldock and Royston that caused £1,000 worth of damage to the mailings of Mr. Pryor, and the harvest of 1883, said to be one of the most abundant ever known. 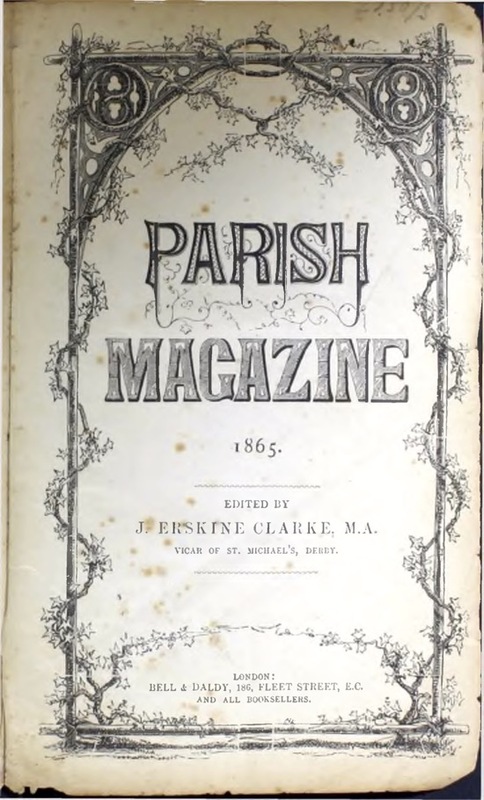 The magazine contained each month articles by famous people, accompanied by excellent woodcuts, on such subjects as "The early Britons up to Edward the Confessor," "The life of Dean Colet, 1466-1519," "Old churches," "Clocks," and "The insect world, mammals and birds" by the Rev. 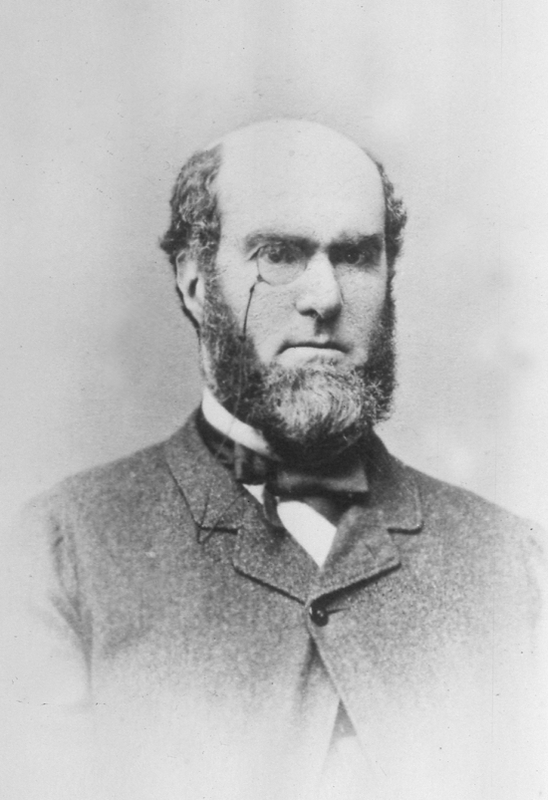 J. Isabell, F.R.S. There were, too, "Talks on famous sermons," "Comments on obsolete words in Bible and Prayer Book," "Health hints" by Dr. F. J. Chevasse, "Aesop's fables," a serial story with strong moral content (usually on the subject of alcohol), Band of Hope news with dates of temperance meetings, poems of great sentiment, a children's page, and many other item of topical interest-all for the magnificent price of three-halfpence, later reduced to one penny! The year 1971 saw the centenary of the Rev. Charles Bullock's Home Words, which introduced "a collection of sayings of the wise and good, domestic and practical hints by a housewife, short stories, and ten rules on how to make a happy home." 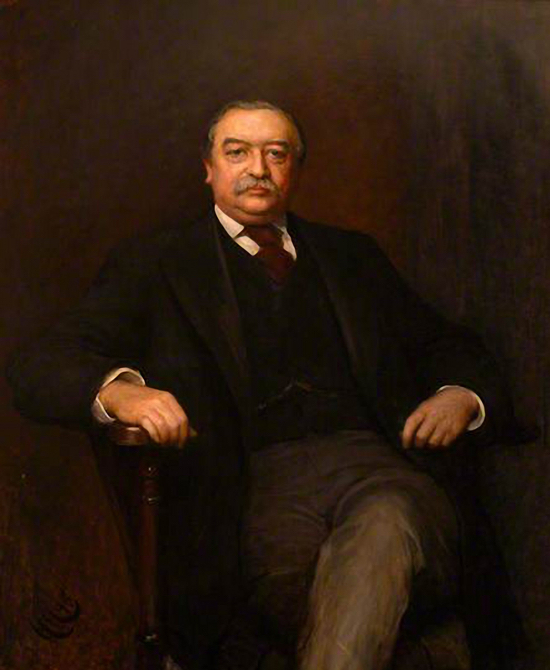 His grandson, Canon F. W. B. Bullock, writing in the January issue, said "As far back as 1876 my grandfather started the 'Robin dinner fund', which gave Christmas dinners to nearly 40,000 poor children in the slums, the money coming chiefly from gifts by Home Words readers, some of whom were themselves very poor." 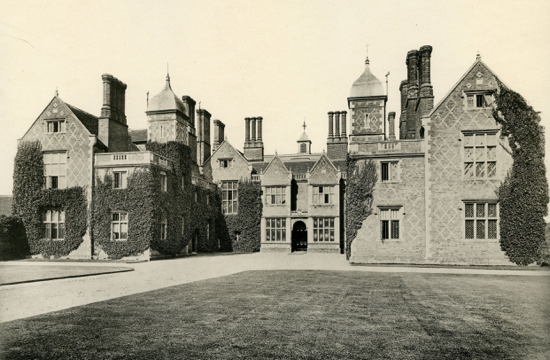 Bessie Nash's mother was houseparlourmaid to the Gaussens at Brookmans Manor before the disastrous fire of July 1891, when the mansion was completely destroyed. 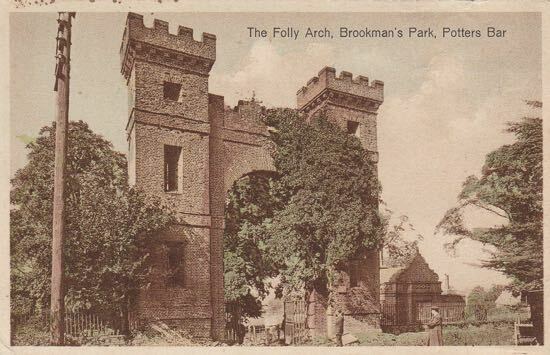 Brief mention must be made of the manor of Brookmans (Bruckmans or Mymrneshall), said to have derived its name from John de Brokeman, who held the original manor at the beginning of the fifteenth century. In the 1600s Sir Paul Pindar, who had been ambassador at Constantinople, said to be worth more than £25,000, entertained lavishly and spent so much on King Charles that he beggared himself and died almost penniless. He brought back with him from Turkey a magnificent diamond worth £30,000, which he lent to King James to wear on gala occasions. He later sold it to King Charles. 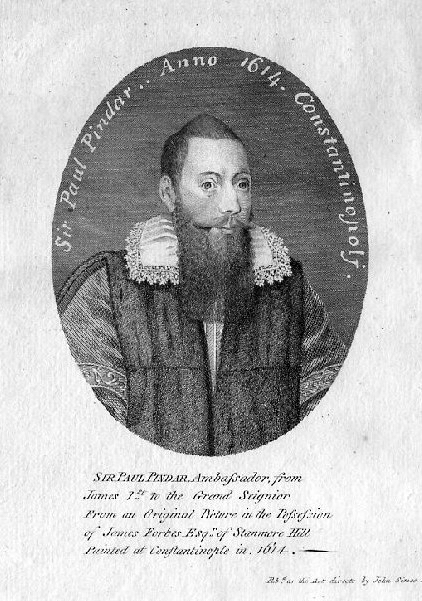 His London house, 169 Bishopsgate, became a public-house known as Sir Paul Pindar's Head. Another famous owner was John Lord Somers, Baron of Evesham, Lord Chancellor in 1697 and one of William III's most trusted ministers. He, however, was impeached by the House of Commons for various crimes, becoming involved in the scandal concerning Captain Kidd. He retired, broken in health and spirit, to Brookmans, where he spent the rest of his days in literary pursuits, dying in 1716. 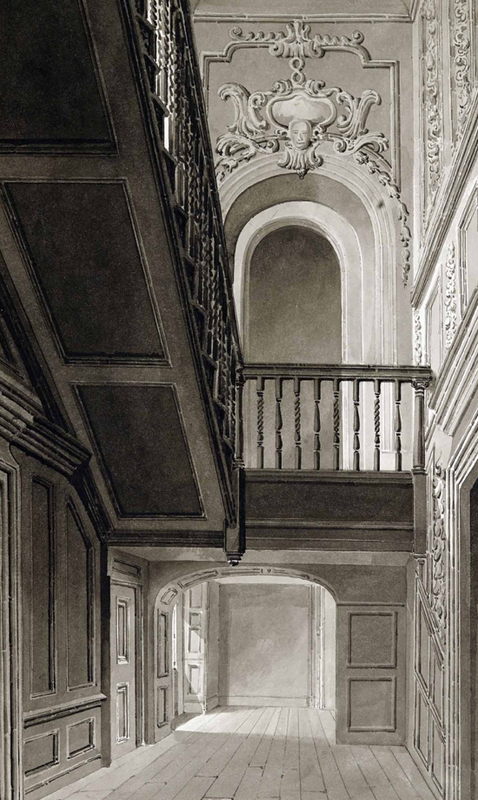 Others followed, until finally the Gaussen family bought the manor in 1786 and remained there during four generations up to the time of the fire, thought to have been started by a stable boy dropping a lighted candle on his bed of hay. 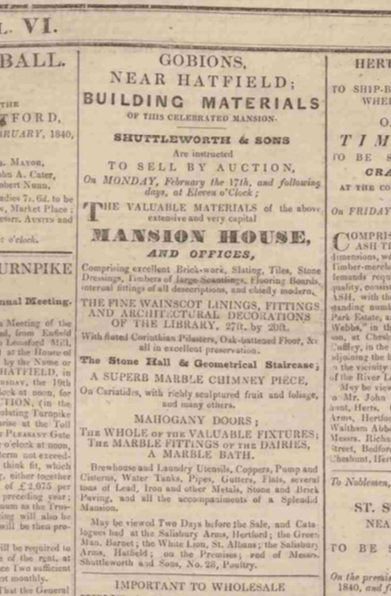 In 1838 the neighbouring estate of Gobions (Gubbins) came on the market. 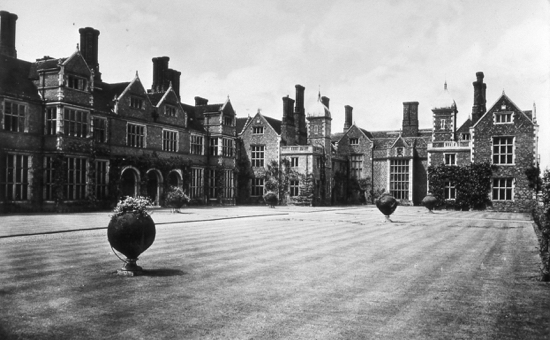 It was bought by the trustees of Robert William Gaussen (a minor), the elegant manor demolished and the land incorporated with Brookmans. 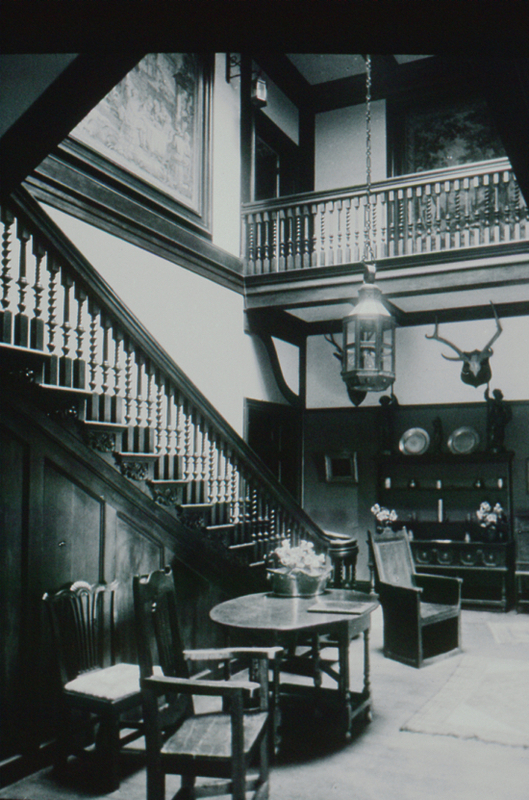 Fine interior fittings were offered for sale, and an oak staircase erected by Sir Jeremy Sambrooke during his residence at Gubbins from 1708-54 was incorporated at Hook Farm, Northaw, then in process of conversion to a mansion by a Mr. Ben Cherry. Sir Jeremy Sambrooke is, of course, the architect of the folly arch and of the memorial stone at Hadley Highstone to commemorate the battle of Barnet in 1471. 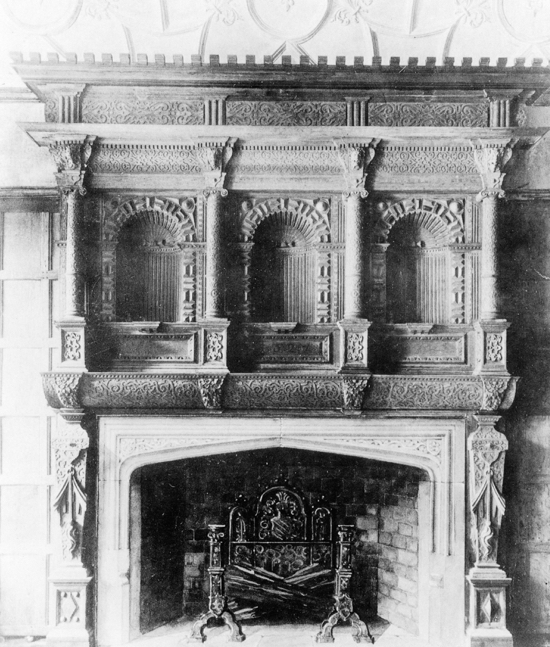 A magnificent carved oak chimney-piece stored in the stables at Brookmans (now the golf clubhouse), and thus saved from the fire, was later sold by Mrs. Gaussen to Sir Charles Allom, antique dealer, and installed in a house in Birkenhead. It was described in the particulars of sale of Gubbins as being the altar piece of Sir Thomas More, but this is not proved. Mrs. Collins (nee Nash) had several magazines belonging to her family and rescued others from the bonfire. She had it on good authority that the Nashes had settled in the village at the time of the Great Plague. 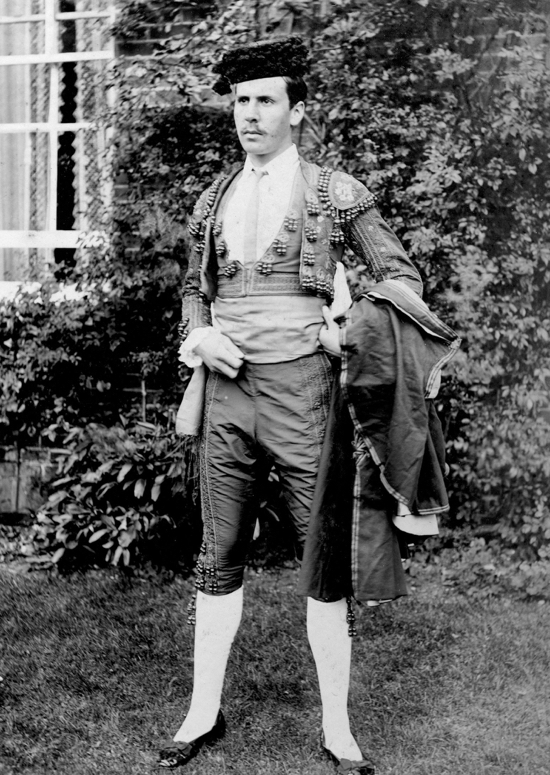 Tom Nott is one of a large family, half being known as Nott and the other half as Knott. Tom can recall no reason for this, but thinks it may be because his father appeared as Knott in the magazine for 1893. He was head gardener to the owner of Abdale and later to Mr. Brittain Forward at Hawkeshead House for some twenty-five years. Before her marriage Tom's mother was cook at Moffats, and an amusing tale is told of a dinner party due to take place one evening. The butler was quite determined that the staff should have its own celebration, and accordingly, after dark, took half a dozen bottles of wine and suspended them on strings down the famous well. Unfortunately the loops holding the bottles were both too large and too loose, so that when he endeavoured to draw them up they slipped through and dropped to the bottom! History does not record the reaction of the staff. This was not the end of the story, for some fifty years later Tom, a builder and carpenter by trade, who had in his time carried out many jobs for Lord Trenchard at Dancers Hill, learnt from a labourer over a glass of beer in the local that he and his mates had recently pumped dry the old well at Moffats to sink it deeper. To their amazement they found resting at the bottom several bottles, unbroken and in seemingly good condition. When put to the vote it was decided to drink one for luck and take the others to Mr. Barnes at the Sibthorpe to see if he would exchange them for bottled beer It was not until Tom mentioned this to his mother that he learned the true facts of the case. 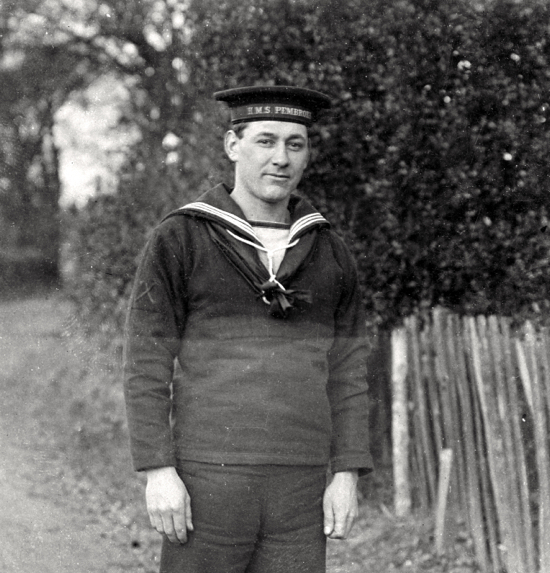 During the first world war Tom served in the Navy aboard H.M.S. Repulse, and proudly shows photographs of the three German battle cruisers, S.M.S. von der Tamm, S.M.S. Seydlitz and S.M.S. Hindenberg, escorted to Scapa Flow. He is also the lucky owner of three photographs showing in the greatest detail the fate of the Zeppelin brought down at Cuffley, namely caught in searchlights, direct hit, and descent in flames. These were a gift from the ship's corporal, who felt it more appropriate that they should be in the possession of a man from Hertfordshire. Mrs. Papworth (nee Chuck of "Baker" fame) had two magazines, one of interest since it covered the war year 1917. The Chuck Family were well represented in the village during the 1900s and carried away many prizes at local events. It was recalled that the inhabitants thought nothing of walking to Oaklands for the flower, fruit and vegetable shows - a ride in a hay-cart for the children being an enormous treat - or marching, banners flying, to a temperance meeting at the mission room, Thornton Road, Little Heath, "so ably run by Mr. Shepherd until his accident in 1883 when it was taken over by the Rev'. Constantine until 1891." I am indebted to the present owner of Elm Tree Farmhouse, Bell Bar, which is of such historic interest, for much valuable information. 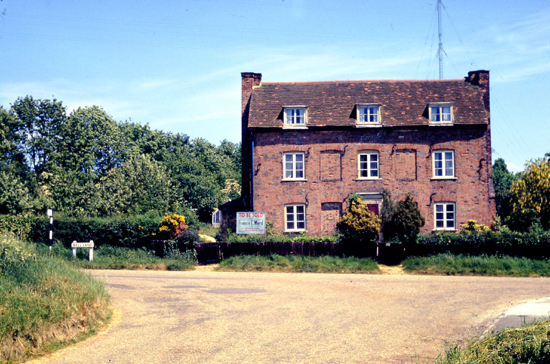 Dating back to 1641, this farmhouse was first known as the White Hart inn and later as the Bell. Until quite recently it contained an inglenook fireplace large enough to swing the proverbial cat, and steps leading upwards reminded one or the bad old days when very small boys were sent up to sweep the chimneys. During recent alterations a George I coin was discovered in the brickwork, and the laying of a new floor in the kitchen disclosed five levels, the lowest of old flagstones. On the wall it is recorded that a plasterer walked from Shoreditch and back in 1821 to replaster the walls. 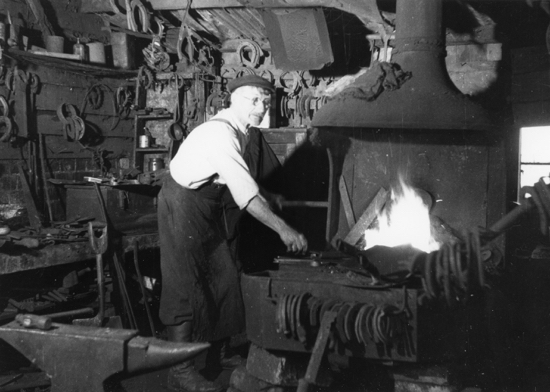 A story is recalled of the forge that used to stand on the corner of the old Great North Road at Bell Bar, occupied by Sid Titmuss, described in Kelly's directory of 1929 as a threshing machine owner. Here oxen were shod before being driven by road to the London market. The upper part of the building was full of ancient relics - cavaliers' boots, obsolete farm tools and ploughing implements, all many hundreds of years old. When the demolition men arrived these valuable relics were thrown in a heap in a neighbouring field, burnt and lost for ever. According to the issue of July 1893, "It is proposed to celebrate the auspicious event of the marriage of H.R.H. Prince George of Wales, K.G., Duke of York (who, if his life is sufficiently prolonged, will be our future king), with H.R.H. the Princess Victoria Mary of Teck, by a village festival in North Mymms Park with the excellent brass band from Luton engaged for the occasion, by kind invitation of Walter Hayes Burns, Esq." 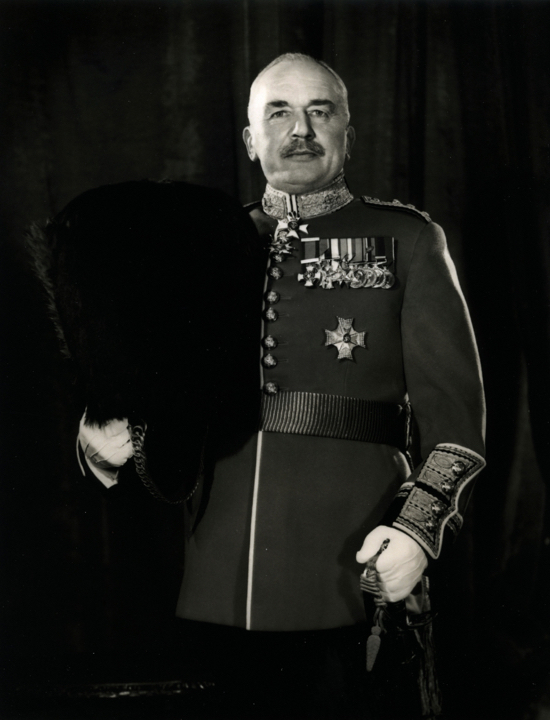 Mr. Burns was grandfather of the present owner, Major-General Sir George Burns, D.S.O., M.C., Lord Lieutenant of Hertfordshire, who now lives there with his mother, Mrs. Evelyn Burns. Following this festival Mr. Walter Hayes Burns, who died in 1897, embarked on extensive alterations to the manor, both to the interior and by the addition of several wings to the west side, but these were practically all removed in 1947 by the present owner, who, however, made additions such as old panelling to the dining room, a worthy setting for the art treasures collected by his father, Mr. Walter S. M. Burns, who died in 1929. The extensive alterations carried out by the first Mr. Burns lasted from 1894-1904, when nearly 100 men were employed, and it was not long before the temperance society, ably run by Mr. Cheeseman, was bringing soft persuasion to bear and suggesting that a home-made barley drink, flavoured with lemon and sweetened to taste, was far more refreshing and sustaining than any alcoholic beverage. Drunkenness and the resultant poverty in the homes of the working class was so prevalent at this period that many of the gentry were introducing this drink for their farm workers with great success at harvest time, if we are to believe the records. North Myrnms Park, watered by a feeder of the Colne and containing upwards of 1,100 acres, goes back to feudal time. 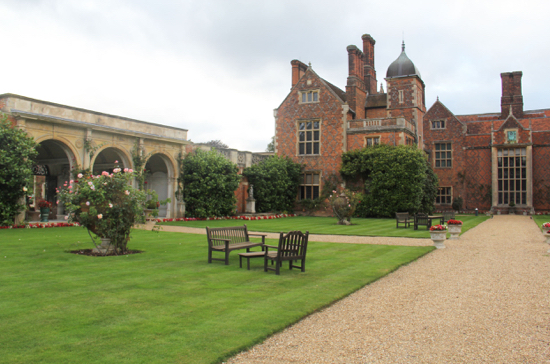 The previous house is thought to have stood nearer the church, but at the end of the sixteenth century Sir Ralph Coningsby pulled it down and erected the present mansion, one of the finest country houses in Hertfordshire. It has had a chequered history. In 1642, during the civil war, it was ransacked by Cromwell and his troops after the owner, Sir Thomas Coningsby, Sir Ralph's son, had been arrested at St. Albans. Sir Thomas, a staunch royalist, had offended Parliament by remaining high sheriff of Hertfordshire after that office had been abolished. He was imprisoned for eight years. A well-known and respected family named Cotton-Curtis lived at Potterells at this period. Many church and Sunday school treats took place in one of their fields, weather permitting, and each child returned home tired but happy, clutching an orange in one hand and a bag of sweets in the other. Beatrix Potter (journal of Beatrix Potter from 1881-97) recalls a delightful visit by pony and trap from Camfield Place, while staying with her grandparents, to take tea with Mr. and Mrs. Cotton-Curtis. 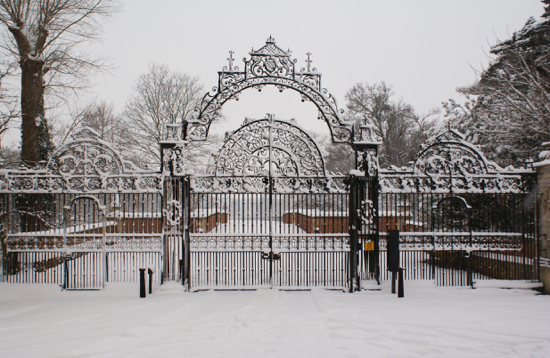 She also remarks on the spectacular gates of North Mymms Park on a later journey to St. Albans, but appears not to have been aware of the close proximity of St. Mary's church. Mr. Cotton-Curtis was vicar's warden at this period, with a Mr. Colquhoun as people's warden, and he felt obliged to express strong objections in a letter to the vicar, the Rev. G. Staunton Batty, on the high cost of recent repairs and the fact that more money was now being asked for to cover "the overhaul of the bells." The year 1859 saw the commencement of extensive alterations - an addition to the churchyard west of the tower, removal of the organ nearer the congregation, more pipes added, warming apparatus moved to the other end of the church, a new entrance to the vestry, to quote but a few - the total expenditure amounting to £1,186/18/7, which sum was defrayed by subscription. This was a time of great controversy in the parish - to sell or not to sell the valuable amber tankard made at Nuremberg and bequeathed to the church by Dame Lydia Mews in 1751, with the ruling that it was always to stand on the altar. No money was available to pay for the reconditioning of the bells and Mr. Cotton-Curtis threatened to resign if the tankard was sold, proposing a vestry meeting to consider the matter. 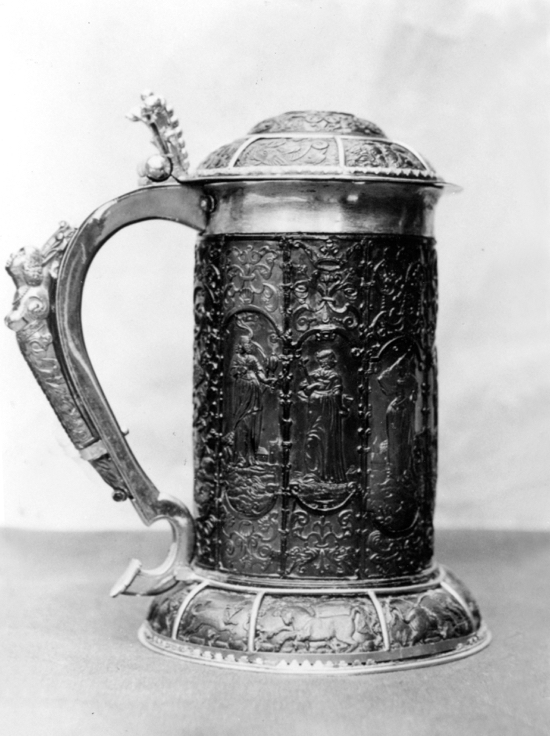 The proposal was rejected and in 1901 the tankard was placed on loan with the British Museum, where it still remains. Note: Hertfordshire Countryside magazine closed in December 2012 after 67 years and 644 issues. The original article from the magazine is embedded below.